From Goodreads: Allison O’Malley’s plan is to go to grad school so she can get a good job and take care of her schizophrenic mother. She has carefully closed herself off from everything else, including a relationship with Ethan, who she’s been in love with for as long as she can remember. 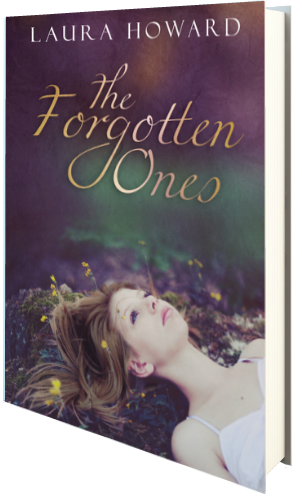 If you love stories that involve mythology, then The Forgotten Ones is definitely for you. Howard brings to life the mythology of Ireland in this enticing story, with The Tuatha De Danaana taking forefront, a sect I knew nothing about going in, but learned so much about throughout the story. The Tuatha De Danaana means “People of the goddess Danu” in English, and Howard’s story mixes these gods and goddesses in with the fae, creating an intricate story of otherworlds while focusing on Allison’s fight to save her mother. Pregnant and suffering with schizophrenia upon her return from Ireland, Allison’s mother has never really been there for her save a few years when she was very little. Seeing the burden both she has her mother have placed on Allison’s grandparents, Allison has vowed to so everything in her power to take over the care of her mother, and that means forgoing her own wants and needs in the process. Selfless and driven by a sheer sense of protection, Allison will stop at nothing to protect her mother, and all those she loves, making for an intense novel as the Danaana and Fae make themselves know, and Allison is sucked into the world—a world that could easily kill her. Howard is a great writer, and the story itself was interesting and action packed, and I really enjoyed it overall. With some awesome twits and turns, this novel is sure to keep readers glued to the pages. Four stars.